Snooper DVR-4HD is a 1080p Full HD dashboard camera with FREE lifetime alerts to speed cameras locations too*. 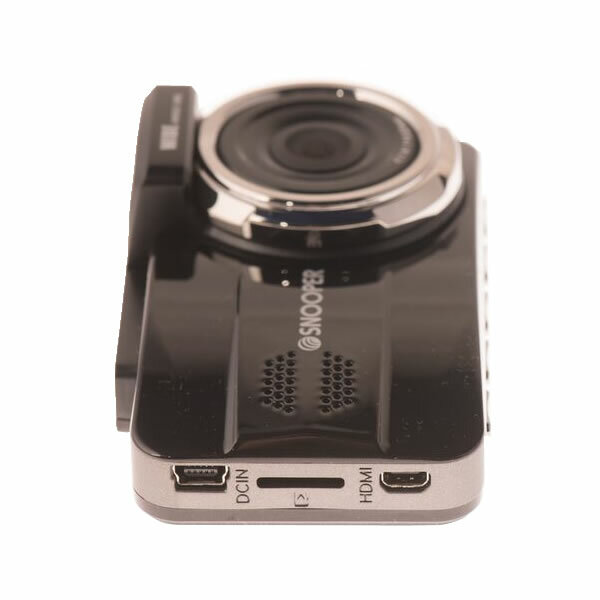 The latest dash cam from Snooper features a 3-inch TFT LCD for instant playback of video recorded. A 16GB microSD card is included in the box. The recording angle of the Snooper DVR-4HD is impressive at close range from 1.5 metres to the horizonand (152 degree viewing angle) and GPS technology will record your journey taken for view back on Google Maps. Forward-facing collision and lane departure warnings and driver fatigue warnings are also provided. *Four speed camera updates per year (once a quarter). 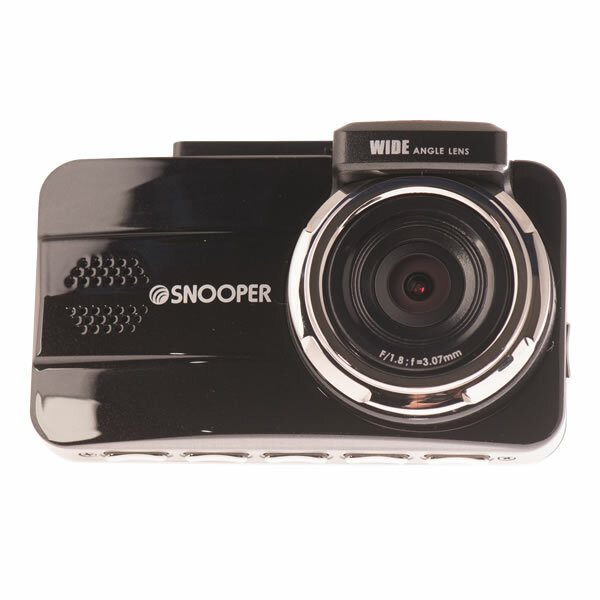 Snooper DVR 4HD is both a dash cam and a speed camera detector all-in-one device. 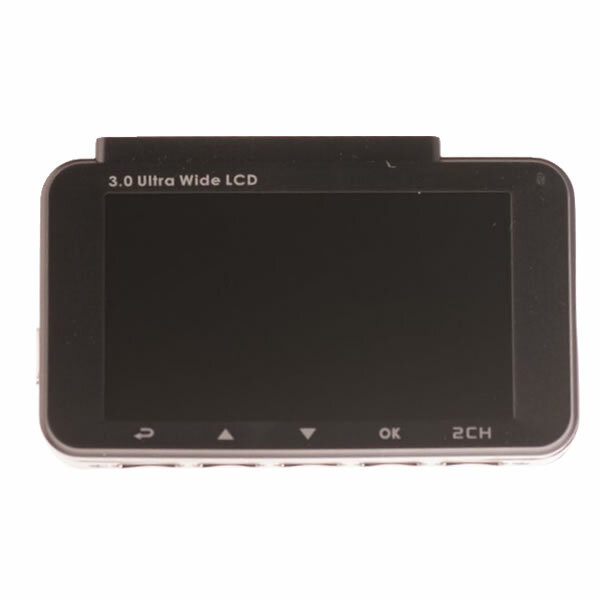 The Snooper 4HD has a 3-inch TFT LCD touchscreen to instantly view video recorded. 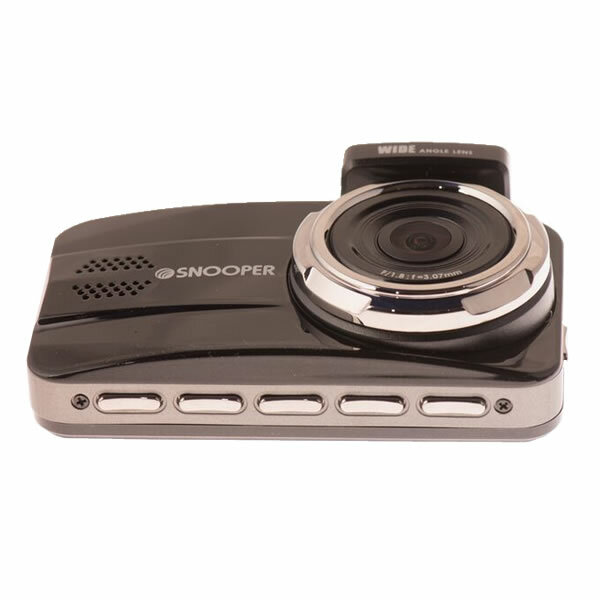 Protect your no claims bonus with the Snooper DVR-4HD. There are many cases of false insurance claims whereby people carry out scams to claim on their insurance. The DVR-4HD will provide evidence as to who was at fault leading up to and during an incident or accident. There is a wide viewing angle of 152 degrees for recording on the Snooper dashboard camera. Plus the windscreen mount rotates 360 degrees so that you can adjust the mount to record any view of the road that you choose. GPS location data is saved to the Snooper dash cam so you can view your route as an overlay on Google Maps. The Snooper DVR-4HD includes a built-in speed camera detector that will warn you via GPS to "fixed" and "mobile" speed camera locations via the Snooper AURA database. 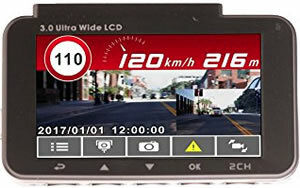 When in speed camera mode the DVR 4HD will display your vehicles speed and when you approach a speed camera location the screen will change to tell you which type of camera is in the road ahead. The unit will also beep when approaching speed cameras. The speed camera alerts can be turned off. You can also set a speed limit alert whereby when you drive over a pre-set speed you receive a warning. The Snooper DVR-4HD comes with FREE subscription to Snooper's award winning AURA speed camera database, with four updates per year (once a quarter). 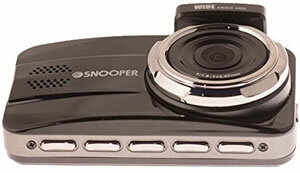 The Snooper DVR-4HD is primarily a dash camera recording device. Although it will also warn of known speed camera locations please be aware that this is a secondary function and that you can only update the camera database 4 times each year. There is no laser detector and there is no radar detector. The Snooper AURA database does not include red light camera locations. The database subscription is free but there could be many location changes in the three months that you cannot update it. If you are concerned about speed camera locations then we would recommend purchasing a standalone speed camera detector which can be updated daily or one which updates automatically via the mobile phone network. Some detectors also included radar and/or laser detection. Night and day recording is possible with the Snooper DVR-4HD with clear video imagery in all light conditions. There are a number of driver-safety features on the DVR-4HD including forward-facing collision and lane departure warnings and driver fatigue alerts. Fatigue alerts will advise you to take a break when making a long journey. 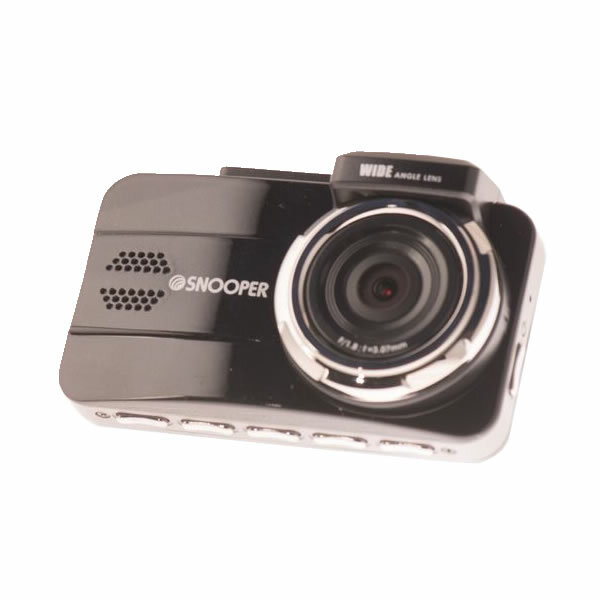 The Snooper dash cam has a built-in microphone to record sound in the vehicle which can optionally be switched off. Time and date stamp will be store with all videos recorded. This feature can optionally be turned off. Do you have a question about the DVR-4HD that's not been answered on this webpage? Please see our Dash Cam FAQ's for questions from other people. If the answer to your question isn't featured, use the online form to ask us for the answer. Alternatively please telephone 01733 777623 Monday to Friday (9:30am-5:00pm) to speak to one of our sales team. For further information online please see the Snooper dash cam comparison table. ‣Records GPS location to view journey on Google maps along side recorded video so you will always know where an incident occured and you will have proof for any insurance claim. Installing the DVR 4HD device on the included windscreen mount near the rear-view mirror achieves the best performance. The car power adaptor cable can then be trailed around the top of the car windshield and down the side of the car to the cigarette lighter socket. 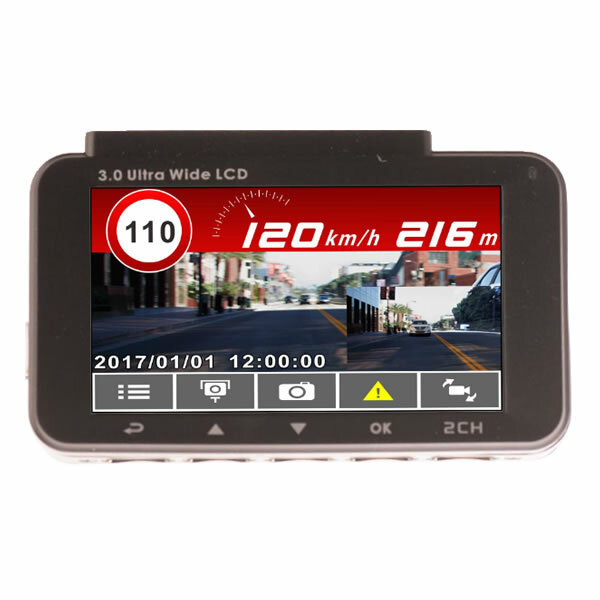 Whilst the DVR-4HD features a built-in battery, this is designed for Motion Detection mode ) when the vehicle is parked. The battery life is only 30 minutes so it is not suitable for powering the device for continuous recording mode. Please note: *Due to the vast amount of speed camera data with the AURA database, the DVR-4HD will not accommodate the complete worldwide AURA speed camera database. Therefore you will need to select which countries you actually need to download e.g. if you are only going to use in the UK, there is no point in downloading/updating the rest of Europe. IMPORTANT: It is fully legal to use, own and operate a speed camera detector in the UK. However, before using the Snooper DVR-4HD outside of the United Kingdom we STRONGLY RECOMMEND that you check to ensure that the use of a speed camera detector in other countries is also legal. The Snooper DVR-4HD when purchased from ActiveGPS includes all of the above accessories. Two accessories you could consider additionally buying are the USB cable (required to update and transfer data from the DVR-4HD) and the carrying case to keep your DVR-4HD in perfect condition when you aren't using it. We also sell replacement accessories for all of the above included accessories, should you need them, for example for a second vehicle. Do you have a question about the Snooper DVR-4HD? Submit your question via our contact page.